From sparkling champagne style fizz through to dessert ciders perfect for cheese, Craft Cider has all the diversity of wine and the innovation of craft beer. With so many factors affecting its taste and flavour, from the varieties of apples from which it is crafted, the soils and climate of where they are grown to the methods and techniques used in its production, it really is seeing a renaissance. Pilango welcome you to their Bar and Shop in Parsons Green to sample some of the industries finest. 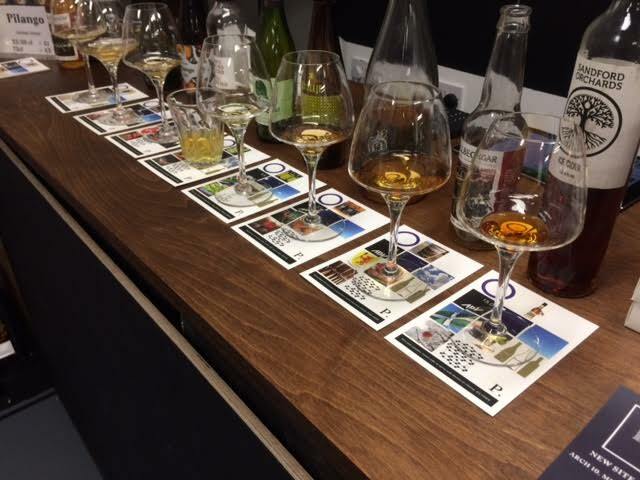 We'll work our way through a number of UK and Overseas Ciders with tasting notes and an expert tutor to find out what you like best and learn about different methods and regions. Come join us for a relaxed informal evening of fun and become one of the many people discovering why Cider is really a drink for all occasions.